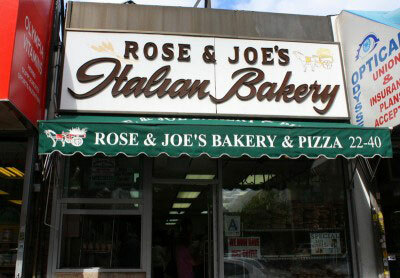 Rose and Joe’s Bakery is upgrading their equipment! Slices, cookies, and bread will be back soon. The excellent bakery pizza at Rose and Joe’s. They’ve been around for over 40 years, serving up tasty cookies, excellent bakery pizza, a variety of breads, and are one of the most favored places to get cannolis in the neighborhood (they fill them fresh to order). 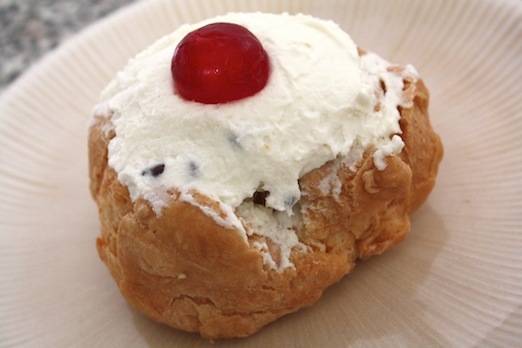 The are also well known for their Santa and Turkey breads during the holiday season, and offer the delicious St. Joseph’s Day pastries, the zeppole and sfinge. Sfinge filled with cannoli cream from Rose and Joe’s Bakery. 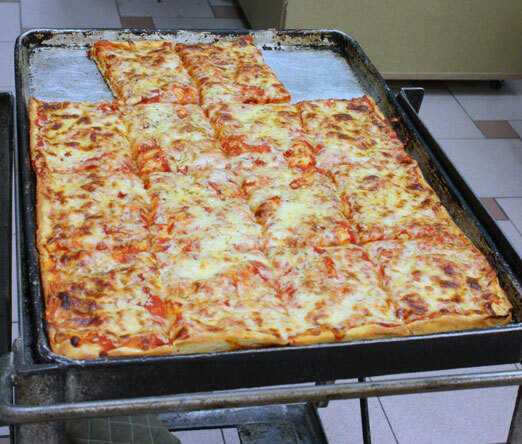 We look forward to seeing Rose and Joe’s back open, with getting a slice being a priority. The store didn’t reopen on Aug. 28. Many stores around here have closed for “renovations” and never reopened. We hope they do come back. We would miss them terribly. Nothing is out of the question, but every time I’ve walked by in the last few days, I’ve seen people going in and out and working on it. Could just be taking longer than they thought, but it’s definitely not just papered up with no activity.